Meet Jack! 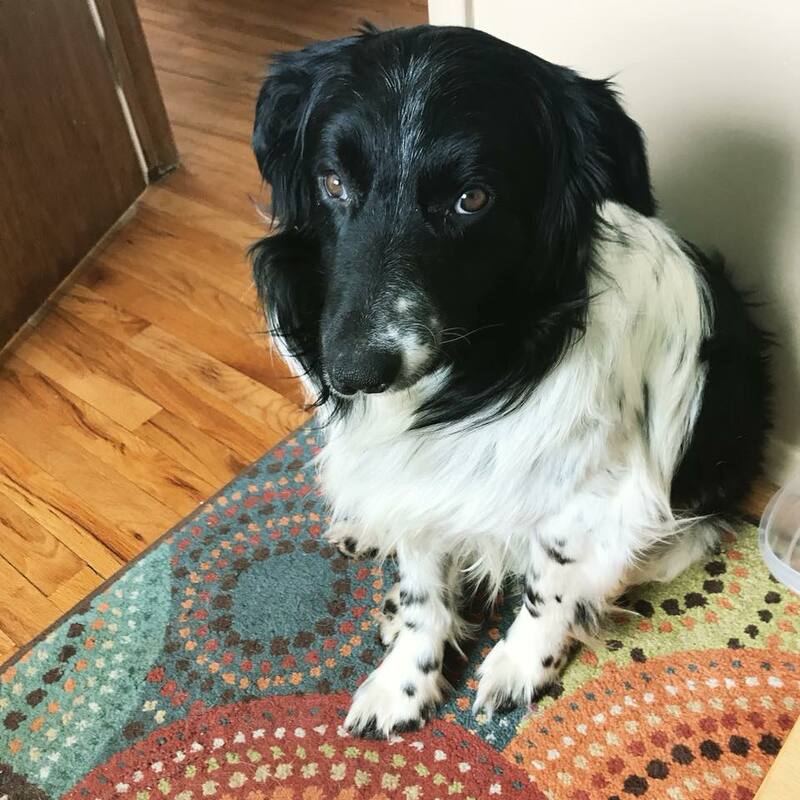 Jack is an approximately 3-year old border collie. He will be up to date on shots and neutered prior to adoption. He is one of the dogs that came from Dickinson that Bakken Paws helped rescue! Jack has come a long way in a short time with me. The turn around has been miraculous to say the least. When I first got him, he wouldn’t even look at me. When I tried to pet him, he hid in the corner. He wouldn’t eat or drink and I was getting extremely worried. Thanks to our wonderful vet he’s doing much better. His tapeworms are cleared up and he’s eating perfectly and with reckless abandon! He will take a while to warm up to you. I would sit on the floor with him and read to him from my book. I know that sounds silly but it’s the way I got him to trust me. Just talking to him softly made all the difference. He would do well in a home with older kids or more gentle younger kids. He still gets scared very easily and is working on trusting people. He does well with other dogs and kids. He’s potty trained also. He’s kennel trained but doesn’t need to be in a kennel, as he’s not a trouble maker at all. He has a cleft lip and sort of wonky eyes but it really makes him unique!! He’s an amazing soul who has just had a hard life and is looking for his forever family that will love him and continue to teach him that humans can be wonderful companions.